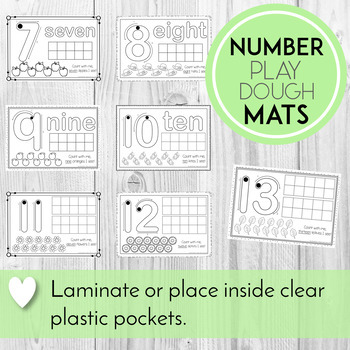 These number play dough mats are so much fun! 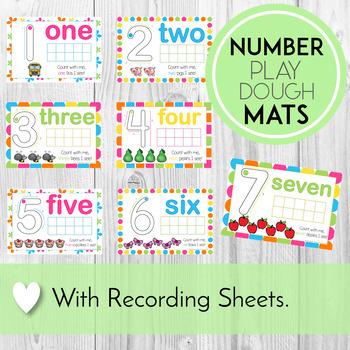 Students will have the opportunity to fill in the ten frames, shape the word (numbers 1 - 10), shape the numeral in the correct formation, and count the pictures. 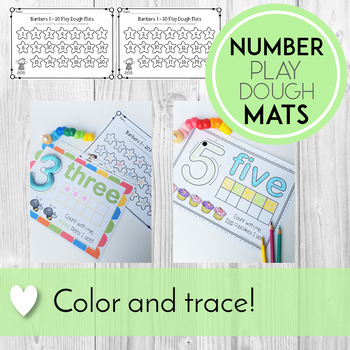 These mats are not just limited to play doh use - get students to colour the pictures and numbers. Use dabbers, buttons or manipulatives for the ten frames, there are many possibilities! So what do you get in this resource? • Instant digital download PDF file to print from. - Form numbers 1 - 20. Count the number of pictures. Fill in the ten frame (s). Read the sentence. - Colour the pictures and numbers. Simply print and laminate, or place in a clear plastic pouch. You can choose to print in colour or black & white. 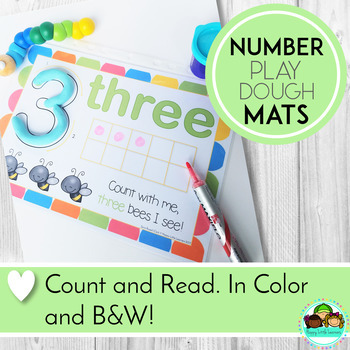 - At Home: Work together with your child to develop their understanding of numbers and practice their fine motor skills, with these fun printables. ★ Please see my preview for everything you get! Please check the preview thoroughly so that you are happy with what you will be receiving. Colors may vary when printed due to how monitors and printers read colors differently, printer settings, and other factors. You might also be interested in my Numbers Emergent Readers! ★ This is a NON-editable digital download, no hard copy will be sent. By purchasing this resource, you are agreeing that the contents are the property of Sara Russell–Clark and licenced to you only for classroom / personal use as a single user. Files are not to be shared or redistributed. I retain the copyright, and reserve all rights to this product. Further information on Terms & Conditions are included in your download.